Scotland’s international and rest of UK exports in 2017 (excluding oil and gas) rose 5.2% to £81.4 billion from the previous year. 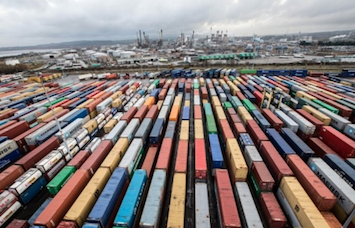 Exports to the rest of the UK rose 4.6% to £48.9 billion. International exports increased by £1.9 billion to £32.4 billion in 2017, the highest annual growth rate (6.2%) since 2011. Exports to EU countries rose 13.3% to £14.9 billion – meaning 46% of Scotland’s international exports in 2017 were to the EU. The figures are estimated in a new report — National Statistics Publication: Export Statistics Scotland (ESS) 2017.